1 lb 1 oz and is head down. 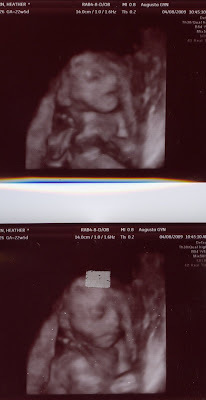 Usually it's Carter that is moving and uncooperative for all the ultrasounds but today he decided to behave. He apparently told brother, "tag your it" , since it was his brother who was not wanting to be disturbed.